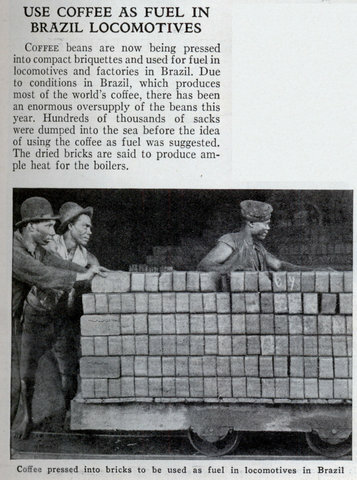 Coffee beans are now being pressed into compact briquettes and used for fuel in locomotives and factories in Brazil. Due to conditions in Brazil, which produces most of the world’s coffee, there has been an enormous oversupply of the beans this year. Hundreds of thousands of sacks were dumped into the sea before the idea of using the coffee as fuel was suggested. The dried bricks are said to produce ample heat for the boilers. 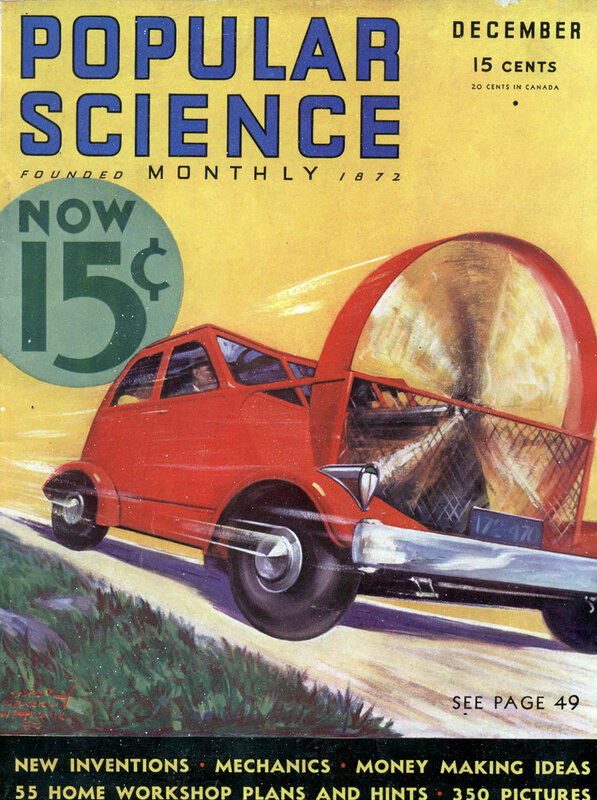 Not so far-fetched. It’s actually pretty clean-burning stuff. Nowadays you can buy firelogs made out of compressed coffee remnants; I’ve seen them sold under the “Javalog” brand. I have no idea if they smell like coffee though (no fireplace). A good idea when coffee prices are dead low but this rarely happens. Could this be done with coffee husk/pulp which is always a serious source of river pollution?